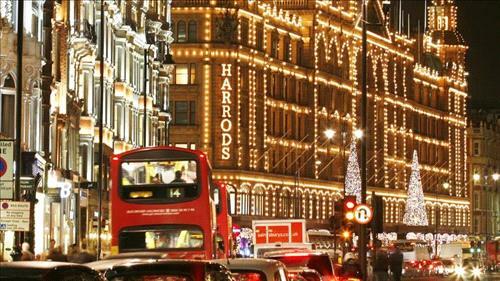 AMMONNEWS - A woman from Azerbaijan who spent 16 million pounds ($21 million) at luxury London department store Harrods over the course of a decade has become the first target of a British power to seize money from people suspected of getting their wealth through corruption. A court has ordered Zamira Hajiyeva to explain where she got the money to also buy an 11.5 million pound ($15 million) London home close to Harrods and a golf course outside the city. Hajiyeva’s husband, former International Bank of Azerbaijan chairman Jahangir Hajiyev, was sentenced to 15 years in jail in his home country in 2016 for fraud and embezzlement. The case marks Britain’s first use of Unexplained Wealth Orders, introduced this year in a bid to curb London’s status as a haven for ill-gotten gains. The orders allow authorities to seize assets over 50,000 pounds ($66,000) from people suspected of corruption or links to organized crime until the owners account for how they were acquired. Hajiyeva denies wrongdoing and is fighting to overturn the order and hang onto her properties. During previous court hearings she was identified only as Mrs. A, but a court order granting her anonymity was lifted on Wednesday.